COME LIVE IN PARADISE!! 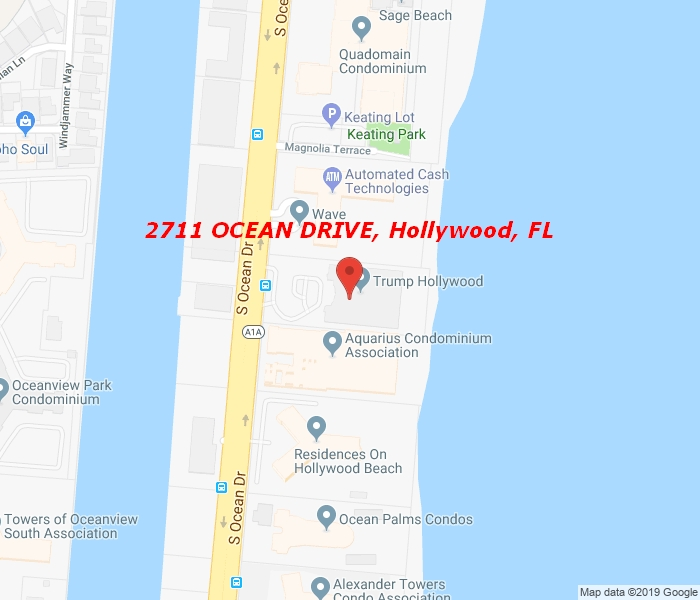 GREAT VALUE COMPLETELY FURNISHED UNIT IN TRUMP HOLLYWOOD, ABSOLUTELY GORGEOUS VIEWS TO OCEAND AND INTRACOASTAL WITH STONING SUNSETS. THIS IS A SMART HOME WITH THE LAST TECHNOLOGY IN SOUND, TV, LIGHTS, SHADOWS AND AIR CONDITIONER. FURNISHED AND DECORATED BY STEVEN G.
PRIVATE ELEVATORS FOR YOUR CONFORT AND PRIVACY. HAS LOT OF UPGRADES COMPARE WITH ORIGINAL UNIT, COME TO SEE THE DIFFERENCES. THIS UNIT CAN HAVE AN EXTRA BEDROOM IF THE NEW OWNER NEEDS TO FOUR BEDS. THIS BUILDING HAVE A 24 HS CONCIERGE SERVICE AND FIVE STAR AMENITIES. THE BEST UNIT IN TRUMP HOLLYWOOD, COME TO SEE IT ! !